It’s a nice looking car at $12,500. Not so much at $22,000!! Didn't even bother to take new pics. I don't mind the flipping, but I'm annoyed by the laziness. He got a nice deal at 12.5K or under. He'll be owning that car for a while at 22K. I guess a man can dream. I wonder where this is all going with IROC prices? Anyone notice that late 2nd gen Trans Ams have started plummeting in price recently, after they literally skyrocketed overnight? I have. 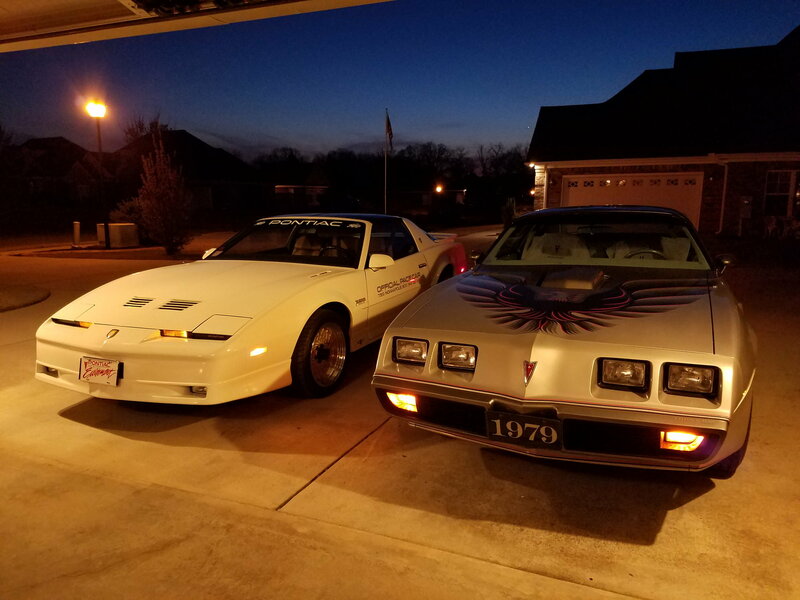 It gives me hope that I might grab a nice 1979, W72, 4 speed Trans Am one day, after I had pretty much written them off. 2nd gen Trans Am prices coming down? The funny thing is I was just trying to start a conversation! I think it's a combination of not being able to find new buyers for the continuing upward price trend and the fact that the target market is getting older/dying/re-prioritizing/retiring. The boomer generation is largely the driving force behind the current "collector" market. Have you ever driven a 2nd gen Trans Am? Always had a bit of a soft spot for them, then spent a couple days in a shop working on a second gen Camaro, worked a bit on a 73 Firebird, rode around in a buddy's POS 79 Trans Am. It sufficiently got that bit of Bandit lust out of my system. Idk, maybe a nice one... But in good beater condition in the mid 90's and early 2000's, they were real POS cars. I'd imagine that a lot of folks might have at one time lusted for an Iroc from afar. Maybe they finally got a bit of free wealth they could splurge on something they always wanted. Maybe back in the day they had a toilet bowl injected RS, and always wished it were an Iroc with a 350. Not hard to imagine a person being excited about an 88 Iroc with a 350 when they had a lowly RS with the boat anchor 5.0, then imagine the first time they got cocky at a stop light and got schooled by a Nissan minivan/suv hybrid soccermom POS. Doesn't take much more than 200 miles to cash a reality check. Or they read a blurb in Pretentious ********'s Car Magazine Quarterly, about how the Iroc is the next big collectible. They hit Ebay and see a bunch of retarded starting bids and buy it now prices from the usual suspects. They barely scratch the surface and find an 88 Iroc with all the right options, for a fraction of the price. Thinking they're buying low, they shell out the cash, get schooled by the Mean Mini-van, and toss that **** out on Ebay hoping for a quick flip. It's not hard to imagine if you only try... Just a couple days ago, I watched a buddy hand a seller a fistful of crisp hundos for a Z28. A freak title signing mix-up later gave him a chance to sleep on the deal for a day or two and he had time to wise up and blow that crazy idea out the tail pipe. Just saying that people and their lust are often fleeting. Who among us hasn't impulse bought something (anything) and had buyer's remorse? I own several original lower mile 2nd gen trans ams. I have had them for a long time & bought them when the cars were still reasonably priced back in the "auto trader" magazine days, not todays CL or ebay. If that gives you a timeline idea While it could be considered an investment (which I dislike that term when it comes to vehicles) It does not bother me if they drop in value. I didn't buy any of my cars to flip, nor am a looking for a return on the money spent. I bought them because I just really like them. I know some people get nervous about what their cars are worth & thats ok too, its just a different perspective. For me its more what they mean to me personally & their history. Can't get enough of that. Don't get me wrong, If & when a time comes to part with my cars, sure I wouldn't want to leave money on the table, that would be just foolish. But Selling them would be a sad, sad day. It does seem as these cars get too expensive, it takes them off the bucket list & moves them to the wish list for many people. If I had to pay the asking price for some of these cars today, even with inflation adjustments, I am not sure I would own any of them. Hard to say. Maybe the 2nd gens will drop enough where I can find a reasonable 73 T/A I would be ok with that. Love that year. Didn't have the brains (or interest) to buy one of those back then, But they didn't do much for me at that time of life either. Last edited by F-body-fan; 04-15-2019 at 06:39 AM. It's a hobby, not a business. I've never bought a car as an investment, nor would I. There are better ways to make money. I don't want to wreck my hobby for myself with the pressure to make a profit. But I have made money on every car I ever sold, mostly because I added value to it during my ownership and it was time to move on for me. But the goal was never to make a profit. It was to get a car I was interested in, scratch that itch and maybe move on to a better one. I have driven many, many 2nd gens. I understand what you are saying, but all of these cars need to be appreciated for what they are. As you said, a well driven modern minivan could smoke a typical 3rd or 2nd gen. So what? I don't care. You know what other car I'd like to own if money and space were no object? The hottest motherfarkin car you could get in 1951, designed by the legendary Vince Piggins, (before he went to GM and developed the Z/28), the Hudson Hornet Twin H Power. Imagine what a modern Camry could do to that car. But, who cares? I don't. Appreciate them for what they are or you'll never enjoy this hobby. 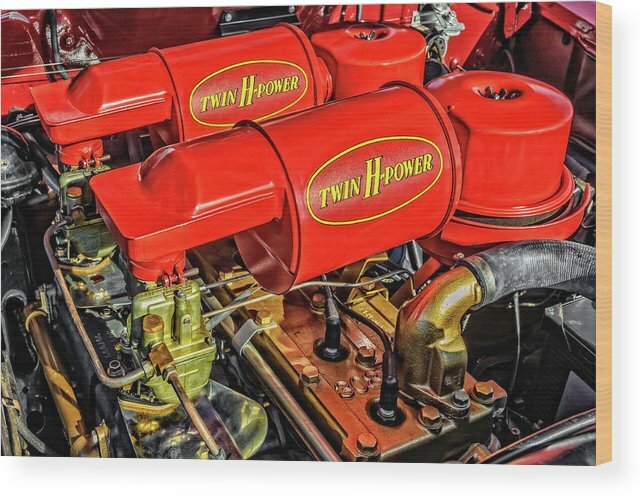 Twin H Power, all 145 horsepower with two 1 bbl carbs on a 308 cid flathead six. Would love a 2 dr. Hornet with Twin-H power, step down chassis and all. The 2 doors are really rare. Even more rare are convertibles. 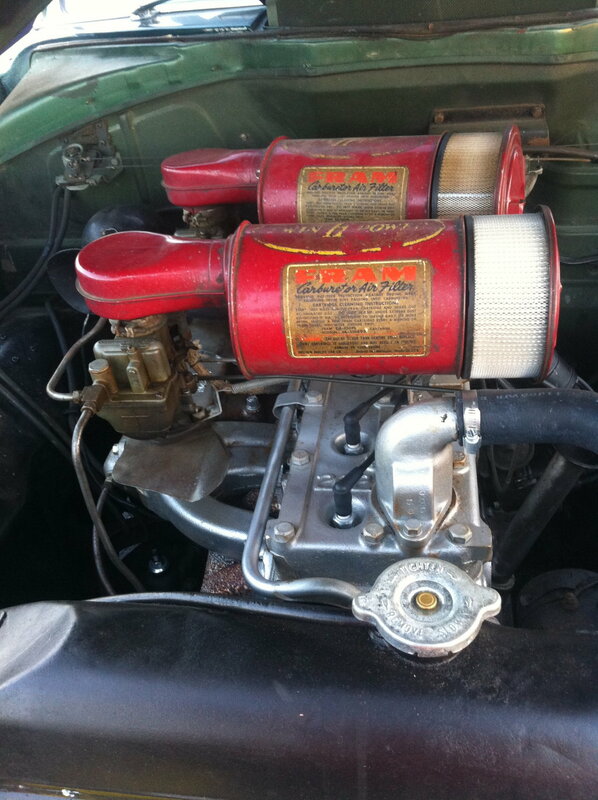 Here's one Twin H convertible for sale. Last edited by chazman; 04-15-2019 at 10:24 PM. Saw One Of Those Twin-H Powers At A Car Show Last Year. Cool! I saw one at cruise night, too. I only got pics of the engine bay, though. Oh man, that's a good looking example! Exacly Charlie. I'll end up eating these two so-called "fine examples of a low mileage cars" between two pieces of bread.....as they ain't worth crap. BUT, I have em.....sigh. Yeah Bob, when it starts being about the money, the fun ends. Not to say that you want to get beat up on every car, but you should get them because you are interested in them not as purely a flip. Just me, though. I have had a few 2nd gen's roll through my shop (barely). And while they are neat *looking* cars, they are awful driving cars. And SLOW. I think people watched Smokey and the Bandit and thought WOW! What a FAST machine! Only to find that they are rattle traps, most are clapped underneath even if the cosmetics are good.... frankly they are unreliable, $hitty to drive, and generally just huge money-pit $hit heaps. And painfully slow to boot. I think Buyer's Remorse covers the majority of their drop in value - everyone that wanted one and had the BIG money to drop on them already got one and either loves it or is moving on now that they understand what it is they bought into. So you end up with a buyers market - lots of supply, and diminishing demand. 3rd gen's are by no means rockets either, but their level of refinement is LIGHT YEARS ahead of the 2nd gen. Even a clapped out 3rd gen couldn't possibly live up to the fear to life and limb that you feel at 100 mph in a 2nd gen.... or in any corner. LoL. The extra 800 lbs and primitive suspension.... and the way the body is haphazardly connected to the various frame bits with some rubber hockey pucks....... just WOW. 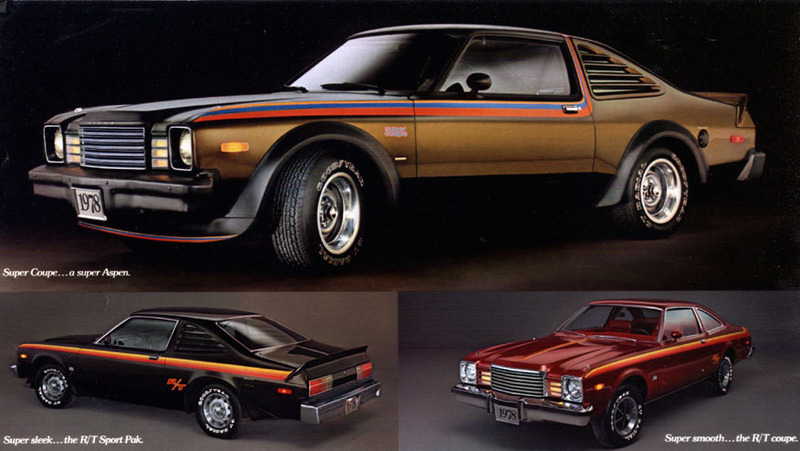 Sorry but the 70's were BAD years for GM products. I get it! I'm old enough to say I was there! The 3rd gen was such a quantum leap forward from a 2nd gen, I figured I'd never even look at one again. But....if a nice '79 W72 comes my way as the prices drop, for the right price, I'm grabbin' it! Or are you saying I should go with a Twin-H Power? 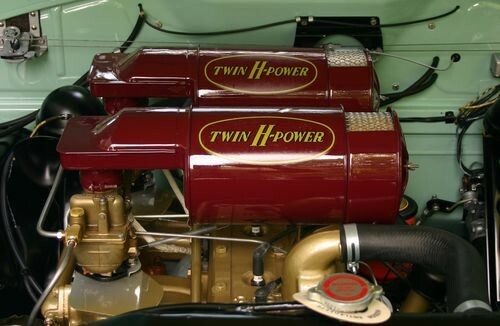 I bet the Twin H Power would be fun. In the same way my mom's 56 Roadmaster is fun. Not in a sporty way, but definitely gets you noticed. Depends on whom you wish to be noticed by. And yeah - the '79 W72 (black and gold of course) would be an awesome piece of garage jewelry. Amazing cosmetics and the interior's were pretty cool. It's just the driving experience that's..... scary. 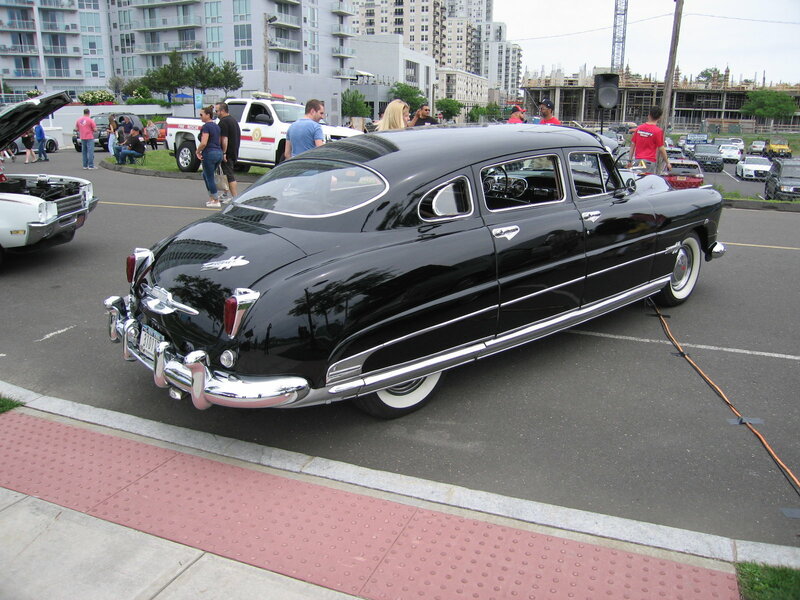 If that Hudson had 200 HP and 300 ft lbs of torque it would probably also be scary. The power curve was ahead of the suspension curve. I guess what I enjoy is experiencing what driving a specific car was like back in it's day. The unfiltered experience. On some BTS 1st or 2nd gens you can actually feel the front subframe wanting to go in a different direction than the rest of the car in a hard turn. Not so much on nicer ones. But I accept that they essentially have the ride and dynamics of an '80's pick up truck. As far as a W72, I enjoy stepping on the clutch pedal to activate that Z-bar, and shifting that big ole clunky shifter on the Super T10. Part of the experience. Maybe that's why I'm such a stickler for original cars. My FIL's, now mine, 1977 460 Lincoln Continental handles, well I was going to say like a boat - but that would be an insult to boats. But it is so smooth and torquey. You travel the tollway undisturbed by road imperfections, surprised that this big freaking smog motor is propelling this monster so effortlessly at 80 mph. And that's one reason people appreciated them. Modded may drive better, but then you are not driving a time capsule. I've never driven a Hudson Hornet, though. It may not be worth the effort if I actually did. I have a friend, who made all his money in antique toys. He'd find them here and go to Japan and sell them. This was before eBay and he made a fortune. As a youngster he was a successful and competitive motorcycle racer. He still does vintage racing events. He loves driving his old cars from the 30's, '40's and '50's though. In fact, after he retired, he worked part time as a school bus driver, when they still had manual transmission buses, because he enjoyed driving the three pedal beasts. Different strokes. My daily driver has an LS3 and TR6060, but I always look forward to driving my IROCs. You can very easily become a civic menace when you push my LS3. 100 mph comes before you know it and somewhere in 3rd gear. My IROCs, 215, 220 and 230 horsepower aren't nearly as fast, but they are not less fun to me. When we’d take out my friend’s 60s cars it was the same. If the car can convince you you’re back in that time it’s pretty awesome and more difficult to achieve than performance.. Any car can have performance..
Woulda been a nice grab at around $12K. Which makes you wonder why DJs blast '50's music at most cruise nights. 98% of the cars there are not from the '50's. I wonder that myself.. They could stand to mix up the tunes a bit.. Absolutely.. was a nice find by Ray.. sold quick! I went to a cruise in at Hooter's last year and won an award from the DJ that asked someone to name the song and artist. I yelled out "Girl's School" by Britny Fox. He was surprised someone knew the artist and the song. 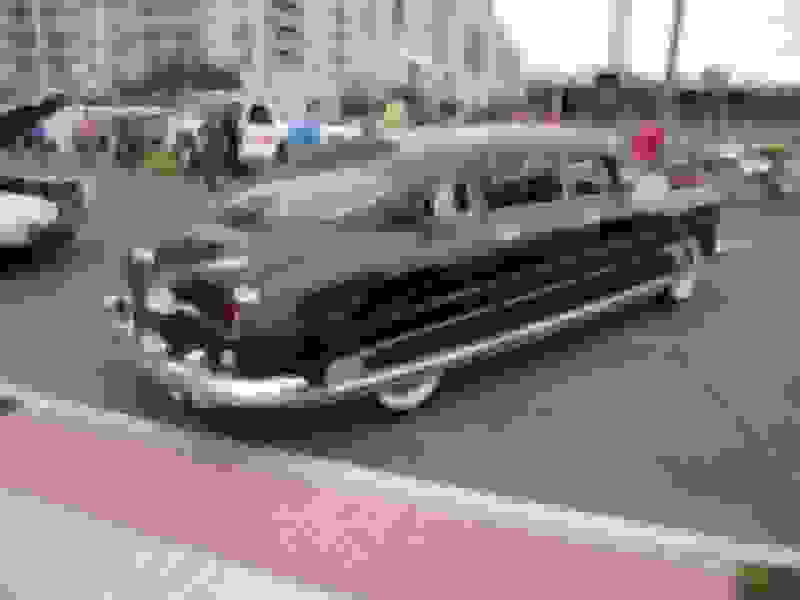 He said that he had been asked by so many people to stop playing the 50s music at these cruise ins as he's the local cruise in DJ, so he's at a lot of shows. I've been to a few recently and he's changed it up to now include Van Halen, Poison, Iron Maiden, Kiss, etc. Sounds like the 70s were skipped over and we went right to the 80s! Oh hell yeah! I would have got Britny Fox, too my man! I guess it knows what it's doing. I half expected to go out to the garage this morning and find bits of Moochie stuck behind the fog lights. I don't think you guys should bellyache about second gens what made them the pigs you remember was the wonderful bumper laws and the tough time of emissions I had 4 second gens and they handled good IMO even the 79 Trans am, course this was after owning a couple 69's Z28, pace car and 6 cyl Vert so they were an improvement over first gen handling. The 87 WS6 I bought was an even tighter suspension than the 2nd gens but even they needed help too cant you see the procession of improvements they made every generation? Last edited by zman1969; 04-17-2019 at 08:38 AM. Bad things happen to '********'. 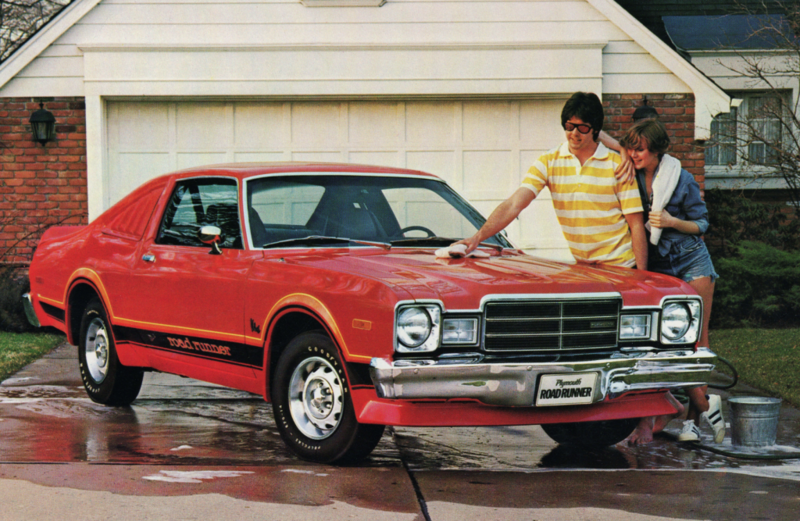 If a person were to put a later second gen Camaro in a road test against one of it's contemporaries, like say a 77 Camaro vs a 77 Thunderbird, or anything from Chrysler (did Chrysler have anything like a Camaro in 77?) it'd probably stand out the clearly better car. I just think after awhile in a thirdgen, you get in one and they're hard to see out of, the door panel rips off in your hand when you go to close the land yacht inspired doors... Then you look for the climate controls and they're on the wrong side of the steering wheel... It just doesn't hold up over time. Kinda like the first time I sat in a 69 Camaro, it seemed really goofy and clunky too. Wasn't the car's fault, things just got more refined with age. For Johnny Middleage sitting in the waiting room flipping through a Golf Digest then picking up the car magazine and seeing a photo of a sweet 79 Trans Am like the one his neighbor hand when he was 12, he might get a bit of a rude awakening after buying one sight unseen based on some carefully plotted Craigslist or Ebay photos and having it trailered across the country. It might take a few weeks of the wife unit nagging, the kids refusing to be caught dead riding in it, and the general effect on morale of buyer's remorse to set in, and then that shih has got to go! Nice Cordoba, i kinda miss hearing Ricardo talk about the fine Corinthian leather. A kid I went to high school with had one just like this, and IT HAD T-TOPS! That would be kind of kick ***. Damn it! You stole my comment. Well aside from the t-top part. Kid I knew had an older brother with a Plum Krazy 68, 69, 70, 71 whatever. I used to remember, but now it could be a Challenger or a Cuda... Suffice to say it was a lot cooler than an Asspen-Runner. Wasn't until years later I saw that the Asspen based Road Runner was a real thing. I thought for sure it was just Granny's hand me down grocery getter with some ABS 1/4 window louvers and MOPAR rally wheels. I'm afraid that train has sailed my friend. This thread deep-six'd itself in record time. I'm shocked someone hasn't posted a bunch of photos of a Tucker or something by Studebaker yet.... Wait, has someone posted a Studebaker or a Tucker in this thread yet? 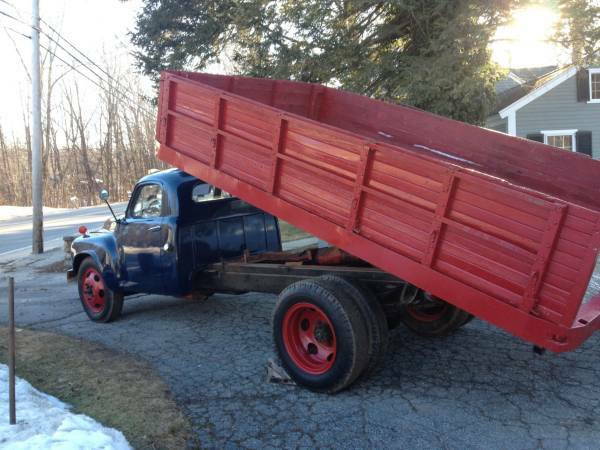 A crazy drunk uncle of a friend of a friend, I knew in highschool had one of these... 'ell might have been this exact truck before the repaint... Ooh that was one kick *** hot rod, itellyouwhat. On eBay, with a better price.